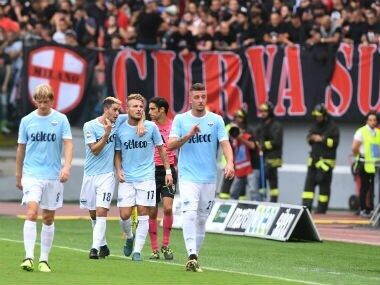 Ciro Immobile scored twice in a five-minute blitz to end Lazio's three-match Serie A losing streak and lift the Roman side up to fourth with a 2-0 victory over Verona on Monday. Immobile grabbed his first after 55 minutes at the Stadio Olimpico and doubled his account five minutes later to bring his tally to a Serie A-leading 22 goals this season. "We've won an important match," said Lazio coach Simone Inzaghi ahead of hosting Steaua Bucharest in the Europa League last 32 second leg on Thursday after losing 1-0 in Romania last week. "I saw the guys were tense but I told them to stay calm. Once the result was unlocked everything became easier." 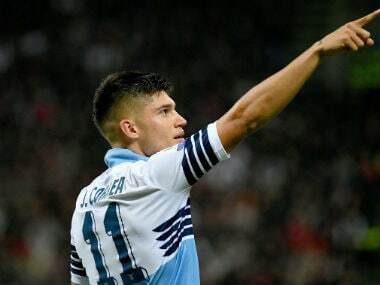 Lazio overtake Inter Milan, who drop out of the Champions League places into fifth after their 2-0 loss in Genoa on Saturday. Verona remain stuck second from bottom after their seventh defeat in eight games. 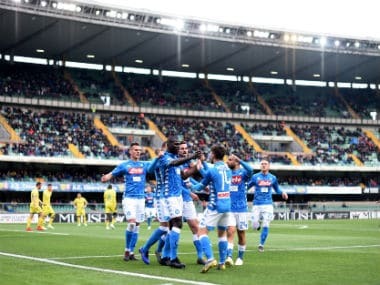 Napoli matched Juventus with a 1-0 win over SPAL on Sunday to hold top spot in Italy ahead of the champions who won the Turin derby by the same score. Lazio were wasteful in the first half with Immobile missing two early chances and Luis Alberto also unsuccessfully trying his luck from distance before rattling the crossbar on 33 minutes. Immobile finally got the breakthrough off a Luis Alberto cross 10 minutes after the break. Moments later the Spanish midfielder sent the ball wide before Immobile headed in a rebound after Brazilian goalkeeper Nicolas blocked a Senad Lulic shot. Luis Alberto almost added a third with a curling effort but Nicolas pushed it over the bar. 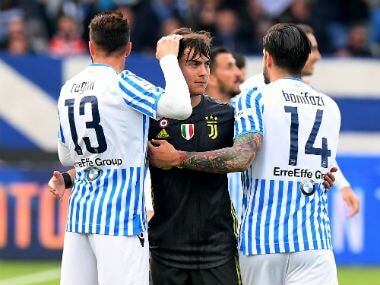 "It had been 44 days, plus the entire first half tonight without finding the net," said Immobile, who had last scored on January 6 and ended his five-game drought on the eve of his 28th birthday. "The negative run didn't take away our self-belief, but it did make us more tense. It was not physical but a mental block." The victory comes after club sporting director Igli Tare revealed Lazio had withdrawn their contract renewal offer for Dutch international centre-back Stefan de Vrij. The 26-year-old's current deal is due to expire at the end of the season but negotiations to extend had been ongoing. "I'm sorry because he's a great player, he made another choice," said Inzaghi. De Vrij has reportedly been targeted by league rivals Juventus, Inter Milan and Napoli with interest also from English clubs Manchester City and Manchester United and Spaniards Barcelona.